Santiago itself is a very modern city and I enjoyed visiting Pablo Nerudas house (a famous Chilean poet and political figure). 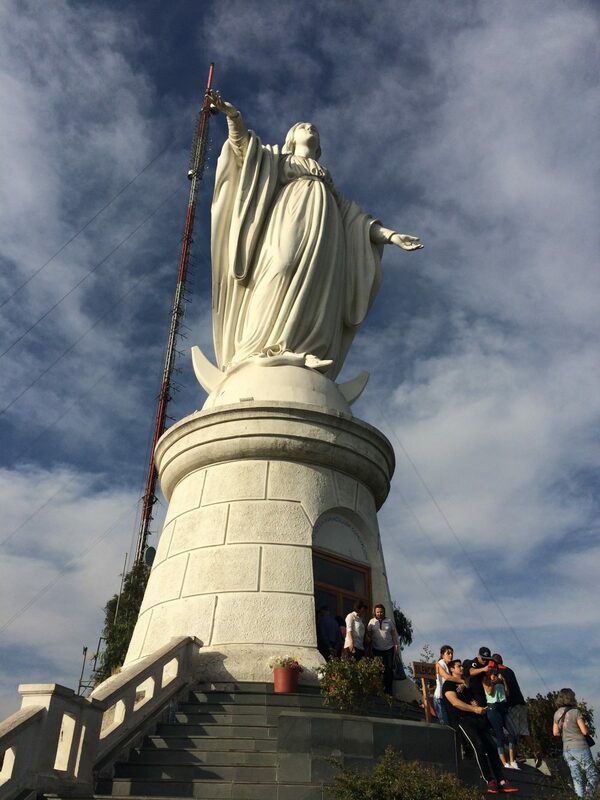 I also visited the contemporary art museum Museo de Arte Contemporáneo and went up to the Cerro San Cristobal which holds a statue of the Virgen de la Inmaculada Concepción (a staple for most South American cities). 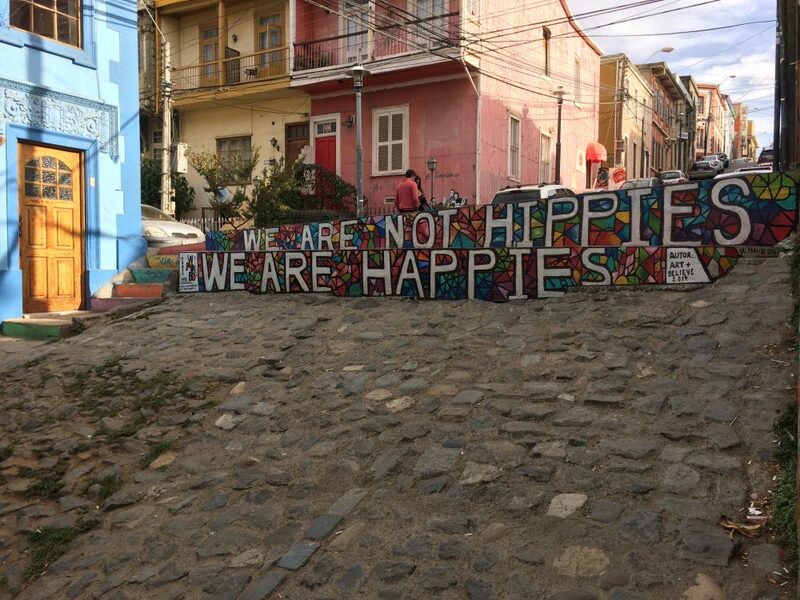 I ended up spending 3 weeks in Chile and here are my highlights (Oh and after three weeks I was beginning to realise South America was no different to Asia in terms of travelling solo and as a women… and I was enjoying it and meeting loads of great people again. This beautiful city on the west coast of Chile is a 2 hour bus ride from Santiago and is super cool. Built on rolling hills, its historic quarter has been declared a UNESCO World Heritage site. 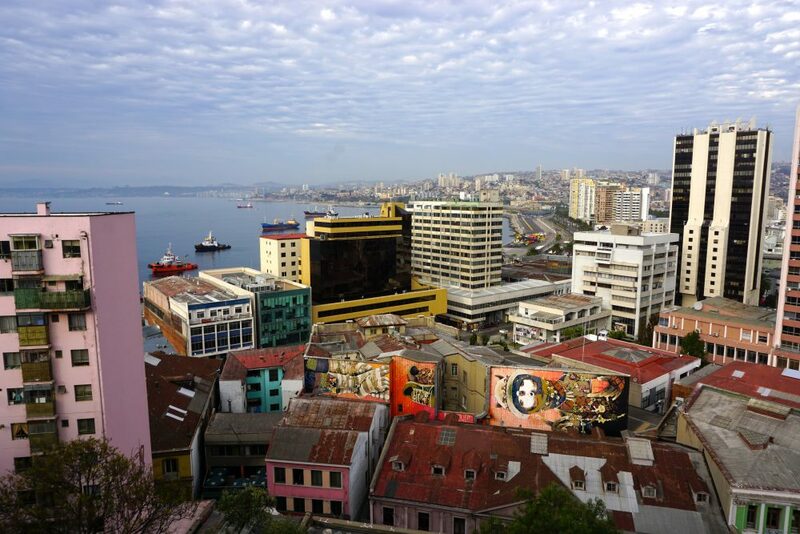 It is an amazing city, with colourful buildings, street art everywhere (some of the best in South America) and there are funicular lifts which take you up to different parts of the city due to the steep hills. This has to now be one of my favourite cities in the world, it’s so beautiful and colourful especially due to the streets art filling every street corner! There are also loads of great architecture, shops, bars and restaurants as well, I loved exploring the cobbled streets of ‘Valpo’! 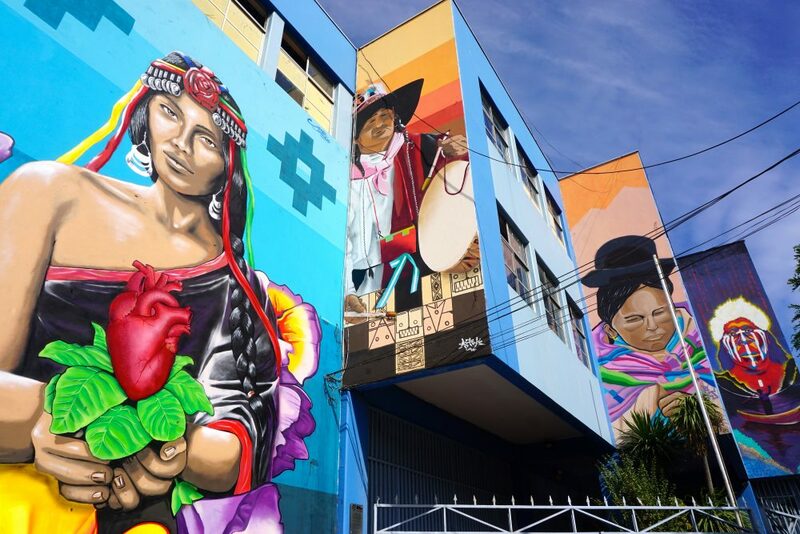 I ended up doing a Street Art tour which was really interesting and took around 3 hours visiting different areas of the city and seeing different South America street artists. 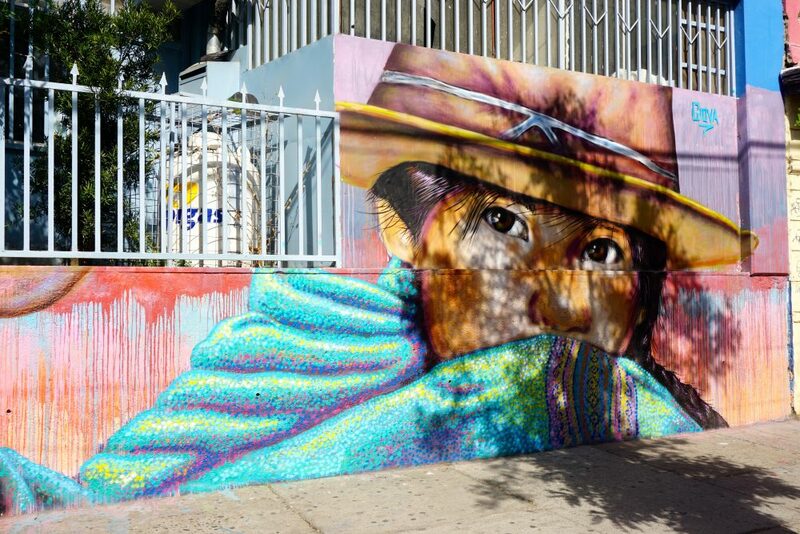 One of the most famous Chilean street artists I saw was Inti whose work can been seen all over Valparaíso. 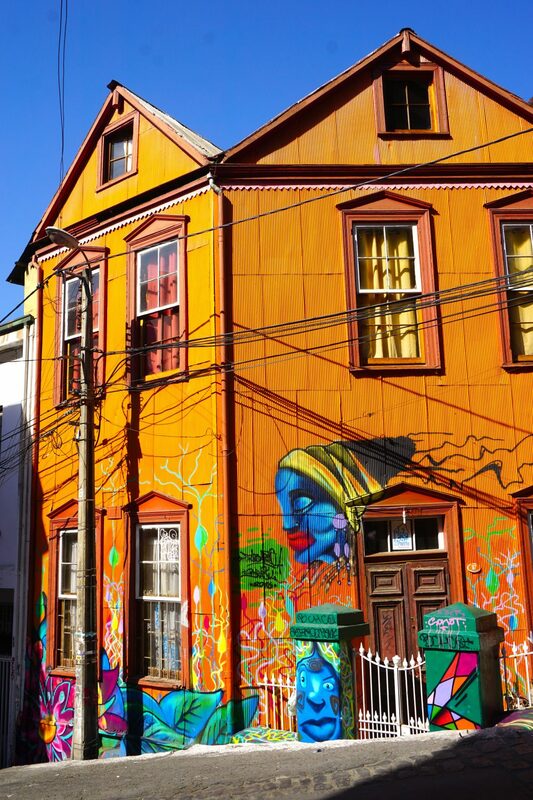 I also visited Pablo Neruda’s second home in Valparaiso which is really beautiful as he was a avid art collector from around the world, he also won the Nobel Prize in Literature in 1971. 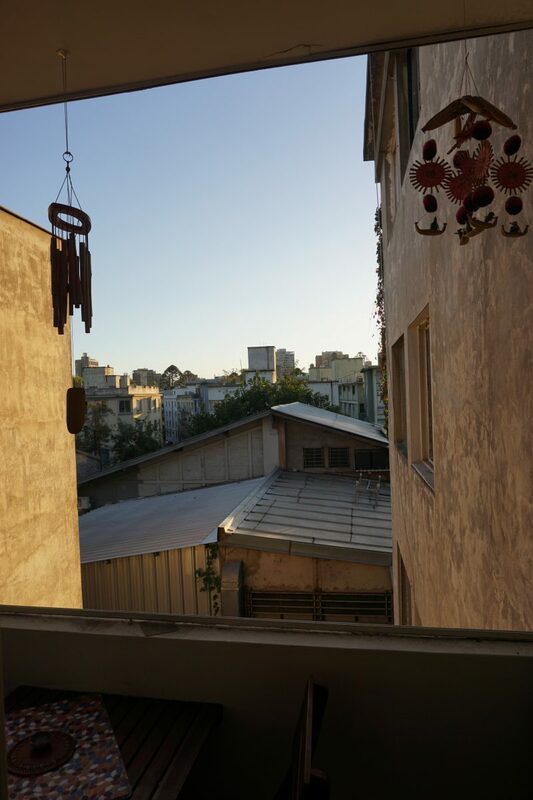 I ended up spending 5 nights here in two lovely hostels, it’s a very relaxing place, however there were two earthquakes whilst I was there which was a little scary! Chile is on the “Pacific Ring of Fire” and has a long history of deadly quakes. This was also were I sampled and made my first ‘Pisco sour’ which I fell in love with straight away and couldn’t stop drinking in Peru as well! The Chileans are extremely proud of the Pisco Sour and my hostel host ended up holding a tasting and making session which was fun. Although I ended up with an extremely bad hangover after doing some Pisco shots and then ended up in a bar with a Rolling Stones tribute band playing! It is hotly contested in Peru and Chile as to who ‘invented’ the Pisco Sour…both claiming it was in them. 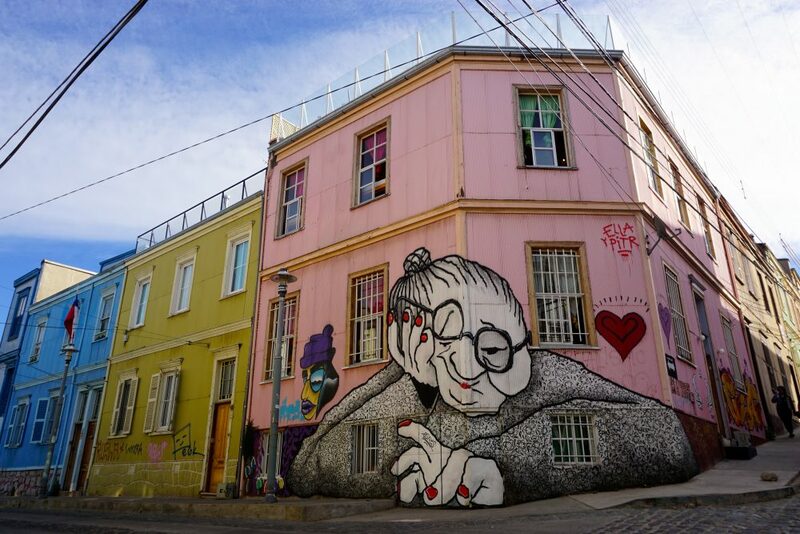 Views of ‘Valpo’ with famous Chilean street artist Inti’s famous muriel on the side of buildings. Humboldt Penguins in the Humboldt National Park, Chile. From Valparaíso I got the day bus to La Serena (taking about 5- 6 hours) up the coast and spent 5 nights here. I stayed in a lovely hostel called Hostel El Punto which was really very organised and the staff were so helpful at arranging day trips, I also met some amazing people here. From here I did a few days trips as it was a great starting point to the Elqui Valley and some beautiful islands off the coast. I did a day trip to Punta de Choros a fishing village about 100km north of La Serena from here you can visit the Humboldt National Park and visit several islands off the coast. 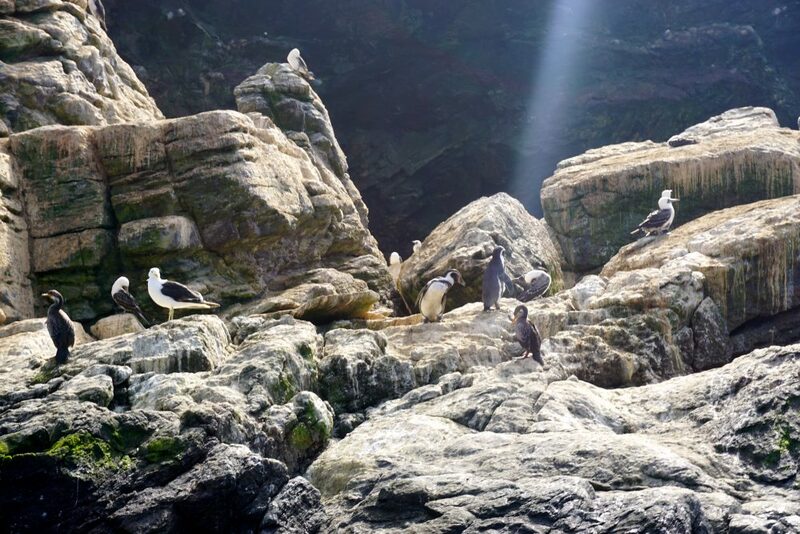 We had a great day going out on fishing boats where we visited several islands (you are not allowed to get off the boats as it’s protected) but from the boats we saw the Humboldt penguins in their natural habitat and plenty of sea lions. We then got dropped off on Isla Damas which is the only island in this national park which you can walk around on and visit for about an hour. I also did a day trip to the beautiful Elqui Valley famous for its amazing scenery and gorgeous weather. It is also famous for its Pisco production and for the tasty ‘Pisco Sour’ drink. 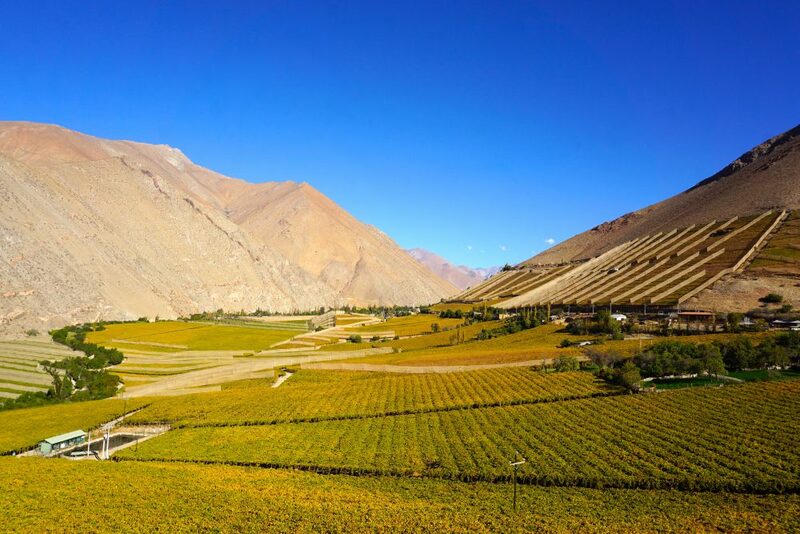 It was stunning and we visited several villages on the trip such as the lovely Pisco Elqui and Vicuña villages, this area is also famous as the birthplace of Chilean poetess Gabriela Mistral. El Tatio geyser, Atacama Desert, Chile. From La Serena I got a 17 hour night bus to San Pedro a town in the Atacama Desert. I haven’t talked too much about the travel conditions on my trip, but this bus trip was pretty high up on being the longest and pretty uncomfortable! The buses in Chile were surprisingly good, however being in a reclining seat for 17 hours is never going to be fun! I also had sadly started having a few problems with my back which wasn’t helping. Anyway it was a cheap and easy way to get from A to B (far cheaper than flying, which is much more expensive internally in South America than in South East Asia). 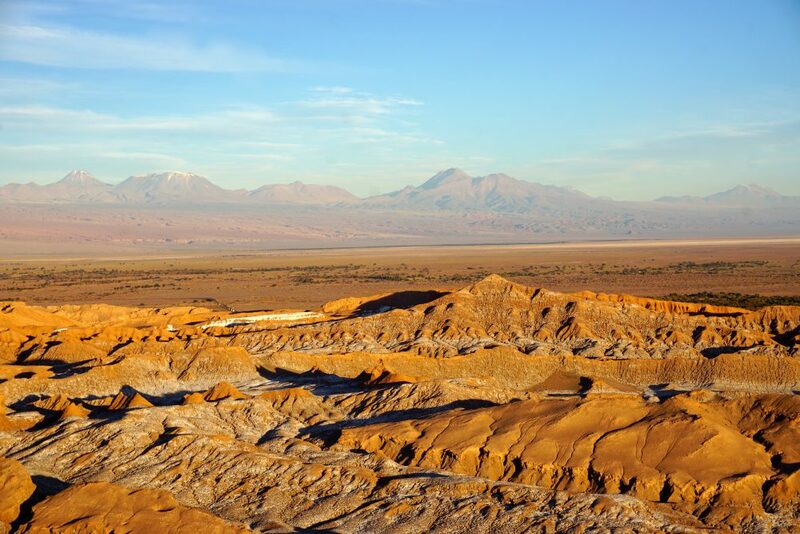 The Atacama Desert is the driest non-polar desert in the world covering 1,000 km of land. 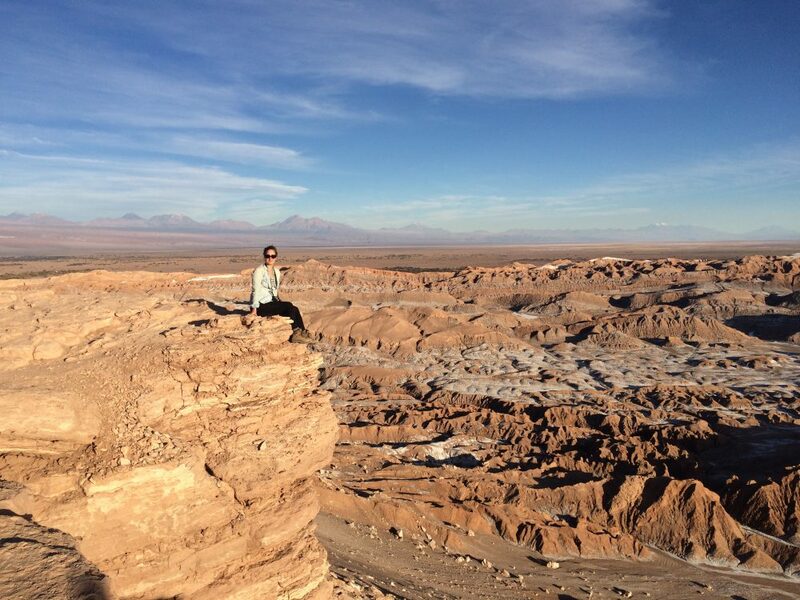 San Pedro is a really cool ‘desert’ town from which you can visit loads of amazing places in the Atacama Desert. 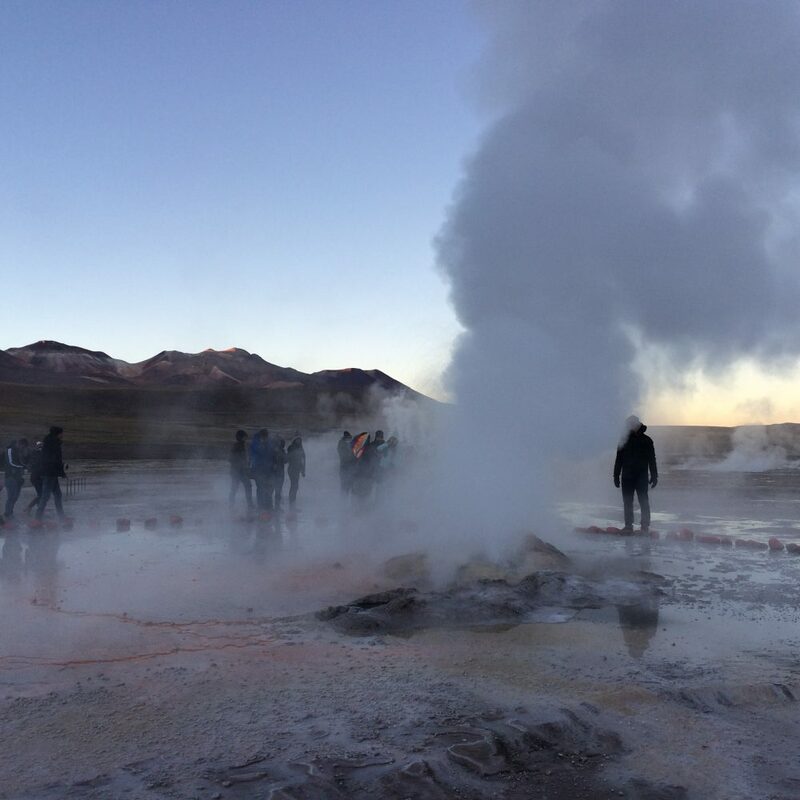 I did a number of day trips from here, such as El Tatio which is a geyser field located in the Andes Mountains and 4,320 meters above sea level. This place was out of this world and it felt like being on another planet. It is the third largest geyser field in the world, so pretty spectacular. I also did a sunset trip to El Valle de la Luna (or Valley of the Moon) which is located 13 km west of San Pedro, the place looks like the surface of the moon with beautiful colours and textures. The colours at sunset were amazing and we could just sit and watch it setting over this beautiful landscape. I also did a star gazing tour in San Pedro as the desert has some of the clearest skies in the world and I managed to visit some hot springs as well. 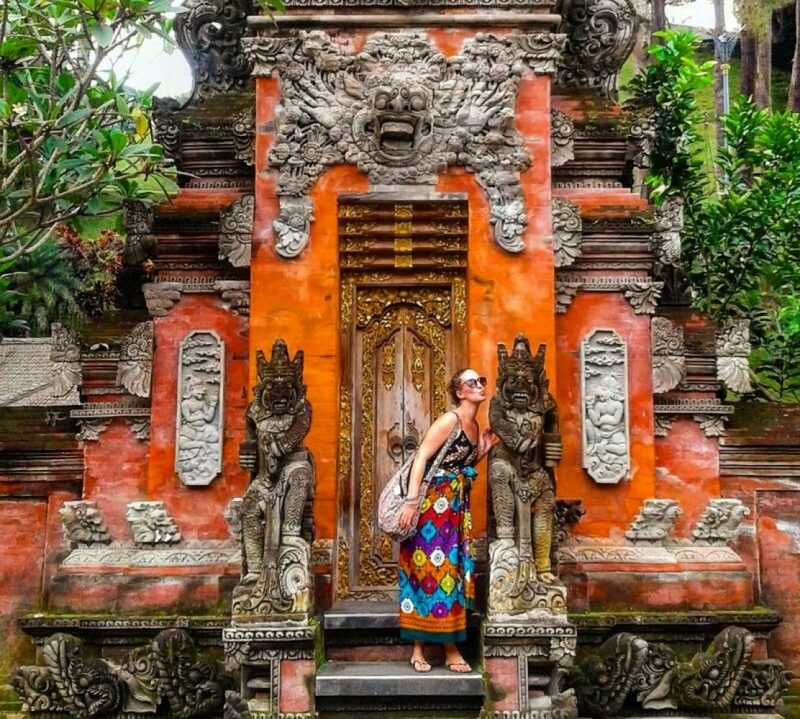 Really amazing place to visit and unlike anywhere I had been before! I ended up spending 5 nights here before making my way overland to Peru, I had been experiencing some bad back pains so decided to continue up to Peru rather than doing the usual 3 day (bumpy) overland trip to Bolivia which most backpackers I met were doing. Valle de la Luna (Valley of the moon), Chile. Sunset at Valley of the Moon. All photographs copyright Jemma Nicholson. 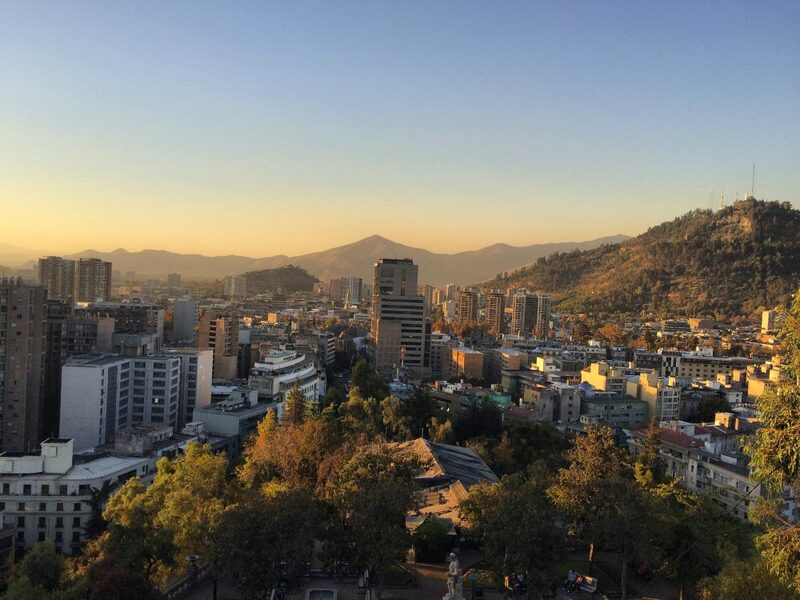 I loved Chile! Spent about 7 weeks there. Loved your pictures.